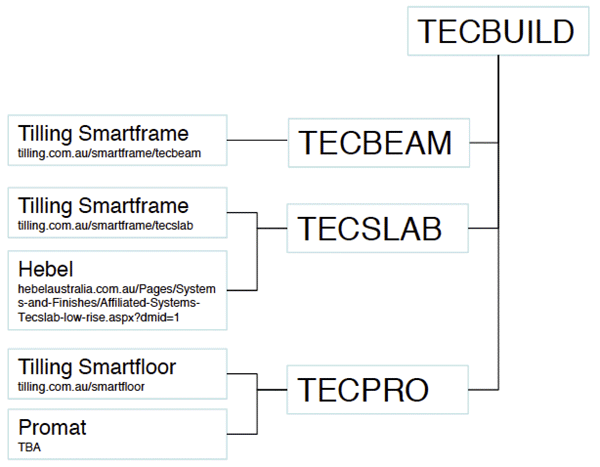 Tecbuild Systems is a wholly owned trademark of Tecbeam Australasia Pty. Ltd. Tecbuild offers engineered floor frame design solutions using the Tecbeam joist system. 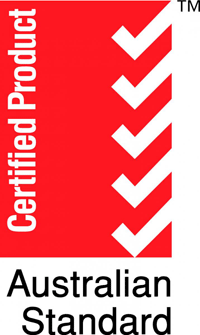 Design, estimating, shop drawings and certification are available from Tecbuild, working together with its national licensee Tilling Timber. Tecbuild Systems are cost-effective construction system alternatives. Our engineered structural timber solutions provide unique span, load and deflection capabilities. Suitable for domestic residential as well as medium and high density, multi-residential and commercial projects. Tecbuild floor systems are an attractive, economic option to traditional concrete construction. For quality projects, Tecbeam joists provide unparalleled floor stiffness and an immediately noticeable absence of ‘bounce’ that is usually associated with timber construction. The composite systems offered by Tecbuild, including TECSLAB and TECPRO, are unmatched for structural performance and engineered floor frame design and construction. Tecbuild’s floor systems provide exceptional performance and construction efficiency for multi-residential, commercial and medium density applications. Key benefits of these systems; Significant overall construction cost savings, Compression of construction critical path, Reduction of trades on site, Fire engineered to meet all BCA requirements, Easy installation of underfloor services, Reduced footings with lightweight construction, Minimised steel beam requirements, Reduced site disruption and preliminaries costs of formwork and pumps etc, Environmentally superior to concrete and steel structures. The TECBEAM product was introduced in 1995. After years of operation within the highly competitive Victorian construction industry, the unique technology was acquired by Tecbeam Australasia in April 2007. With cooperatively developed composite systems now developed and tested for acoustic, fire and structural performance, Tecbuild Systems was formed as the umbrella brand for all products. The current directors and shareholders have brought industry specific management skills, and comprehensive industry knowledge to the business. 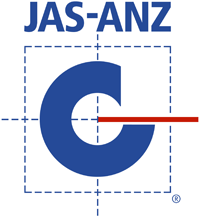 Tecbeam Australasia is a wholly Australian owned and operated company. Head office is situated in South Melbourne, Victoria. Together with its Australian licensee Tilling Timber, which has distribution centres in all States, Tecbeam Australasia is growing nationally as it progressively markets its technology throughout Australia. Tecbeam Australasia holds international patents for its product and plans to grow into the global market in the next exciting phase of its growth. Through its licensee Tilling Timber, Tecbuild offers a team of qualified engineers, designers and estimators, as well as experts in building practice across the residential, commercial and industrial fields. Servicing residential, multi-residential, and small to medium commercial, institutional and industrial building projects, a full design service is available to offer developers, builders and consultants detail design and shop drawings to cost effectively meet all floor frame requirements.